This semi-detached house in Burscough has a south facing rear roof. 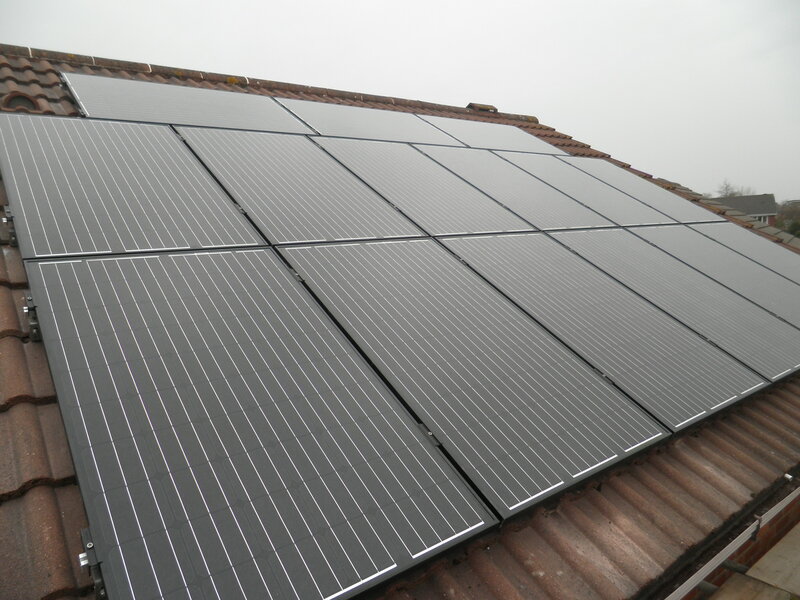 We installed 15 Phonosolar Onyx 250W all black monocrystalline solar panels and a Samil 4000TL-D inverter. 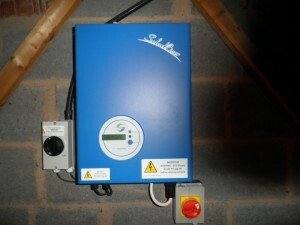 The yield projection for this system is 3030kWh per year. This semi-detached house in Ormskirk has an east facing rear roof. We installed 12 Phonosolar Onyx 250W all black monocrystalline solar panels and a Samil 3000TL inverter. The yield projection for this system is 2562kWh per year. This detached garage in Croston has east and west facing roof areas. 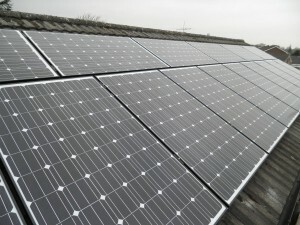 We installed 16 Sharp 245W polycrystalline solar panels and a Power-One PVI-3.6OUTD inverter. This project required planning permission from the local authority. 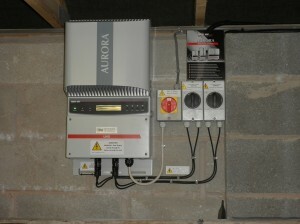 The yield projection for this system is 2863kWh per year. 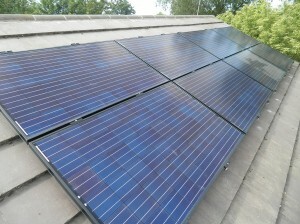 This detached house in Leyland has a south facing roof. 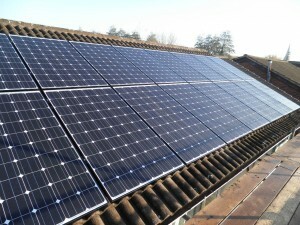 We installed 16 Hyundai 245W monocrystalline solar panels and a Power-One PVI-3600 inverter. 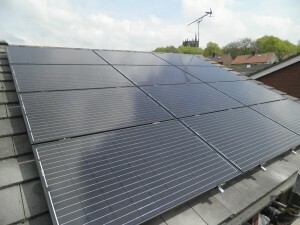 There are two areas of roof where the panels are installed, due to their being a dormer in the centre of the roof. 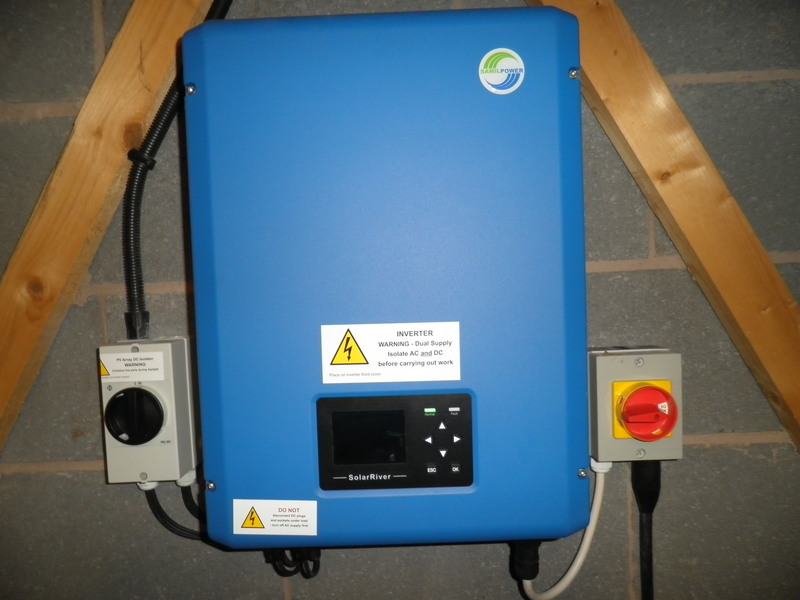 The yield projection for this system is 3471kWh per year. 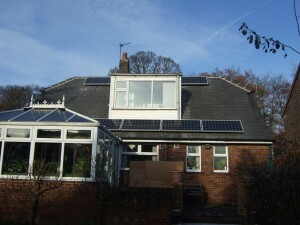 This detached house in Leyland has a south east facing roof. 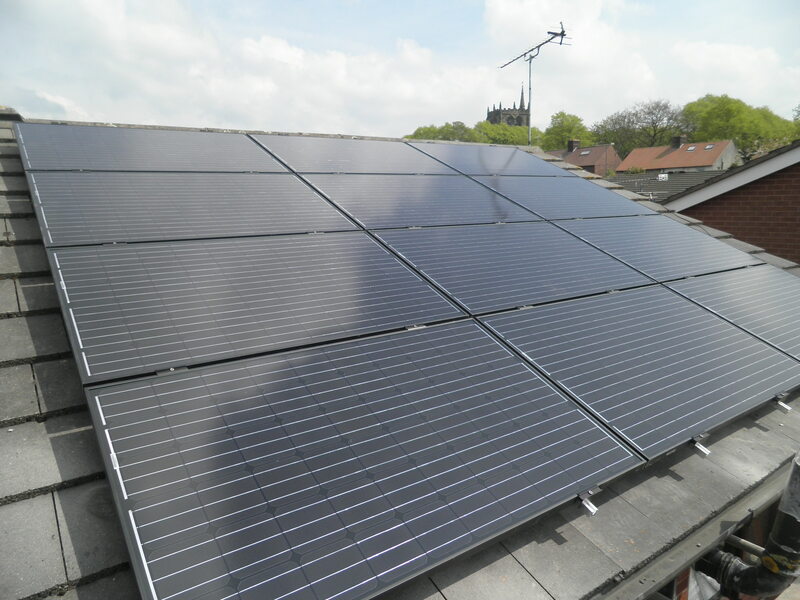 We installed 16 Hyundai 245W monocrystalline solar panels and a Fronius IGTL 3.6 inverter. Due to the short measurement from eaves to ridge, there is a row of ten in portrait and six above them in landscape. 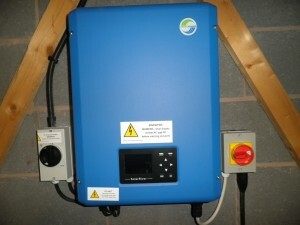 The yield projection for this system is 3090kWh per year. 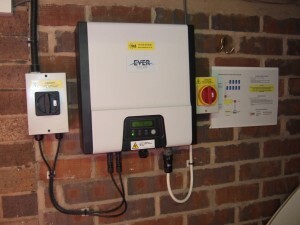 We installed 9 CSUN 195W monocrystalline solar panels and an Eversolar TL1500 inverter. 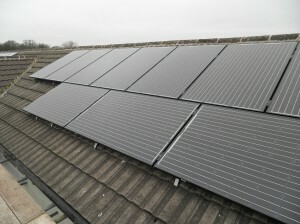 Due to the shading from the dormer acting left and right, the solar panels are installed in landscape format above and below it. 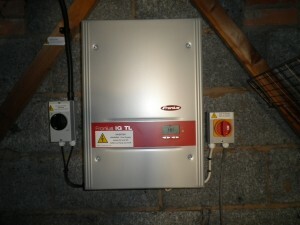 The yield projection for this system is 1406kWh per year. This detached house in Moss Side has a south facing roof. 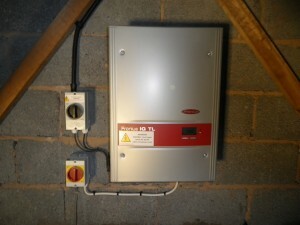 We installed 16 Hyundai 250W monocrystalline solar panels and a Fronius IGTL 3.6 inverter. 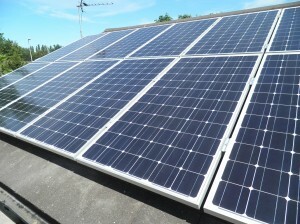 The yield projection for this system is 3423kWh per year. 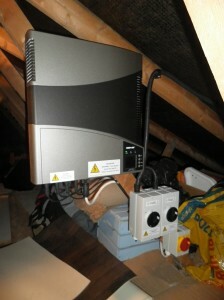 This detached house in Moss Side has a south west facing roof. 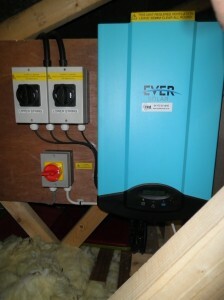 We installed 14 CSUN 200W monocrystalline solar panels and an Eversolar 3200TL inverter. The yield projection for this system is 2394kWh per year.